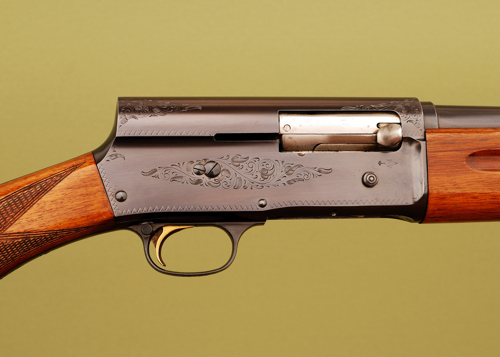 There are two classic repeaters that we love; the Winchester Model 12 and the Browning Auto-5. Here is a late 1950’s minty Sweet 16. It is a gem. Wow! That 16 is mint! Is it a light also? Not bad for a 53 year old gun. I wish I had held together that well! I believe it is considered a Light model. I think the “A” before the serial number may mean “light” 16. I am sure it means 16 gauge. I will look it up tonight in the Blue Book. Love the blog!!!! I have a Browning A5, although it is a 12 gauge. It is a solid duck gun that my dad gave me and shows a few battle scars from chasing cripples in the woods before dogs! I only wish I could hit as well as my dad could – he did not miss many with that gun. He had a poly choke installed on it. 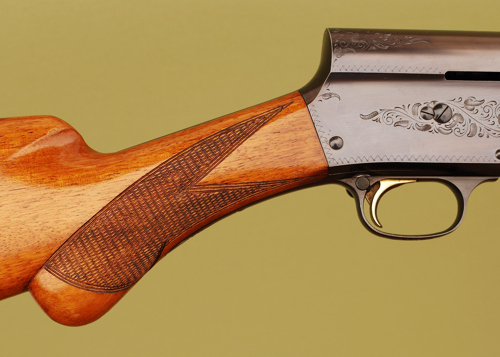 I use it for pheasants in ND occasionaly. Thanks! 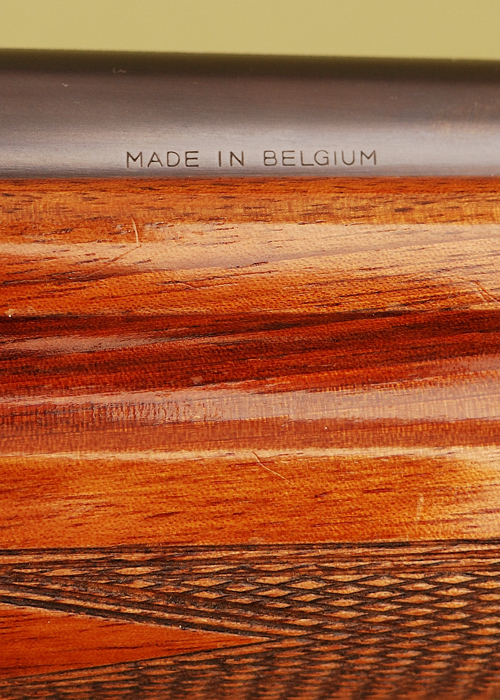 These classic guns are even greater when they have fingerprints from our fathers and grandfathers. btw – I am not Dr. Shawn. That is a wonderful Sweet Sixteen you have. I have a ca. 1958 Light Twelve with Poly Choke that I use as a back up gun & have always desired a Sweet Sixteen but never seemed to find one when the time was right. I do have a ca. 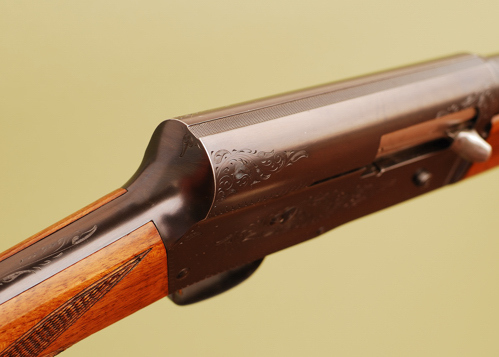 1941 Model 12 Deluxe Field Gun 16 gauge in IC with a donut post ventilated rib and it is just a wonderful grouse and early season pheasant gun. Personally, I like the older guns best. Thanks Johnny! That is a nice A-5, but unfortunately it is not mine. It belongs to one of my hunting pals. My favorite is that Model 12! Yours sounds just right. I have a Sweet Sixteen in exactly the same condition. Mine doesn’t have a rib, just like yours, with the knurled finish on the top. What do you think they’re worth? Shot a lot of Mallards and Pheasants with mine! Hi Nick, they are great guns. Unfortunately, that one is not mine but getting one is on the list. I think a clean one like this is around $1,400. I have a sweet sixteen that belonged to my father as long as I can remember. I would love to learn something about it…. mostly how old it is. 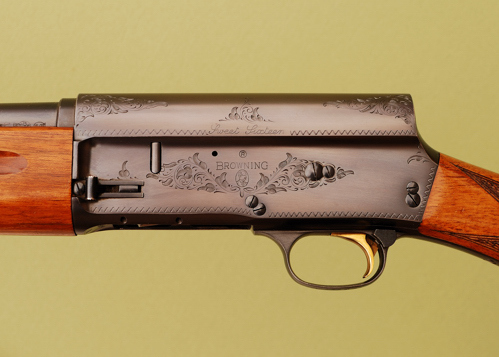 The Browning site doesn’t help as they could not all the different serial numbers for the Auto 5 and one other type of gun, of course, right. Anyway, I have been trying to date it by the SN. Hope you could help. There is a very small S above the number 53724. Does that tell you anything. It is so beautiful, I have loved that gun my entire life. Anything at all you could tell me about it will give me some history behind it. PS as I see you valued a similar gun in an earlier question, could you tell me if I should insure the gun. It is in fantastic shape, no etchings worn or scratches on it anywhere. Don’t think mint. But absolutely taken extreme care of treasured. Thank you again. Hi Tracy, according to the Blue Book of Gun Values your gun was made in 1956. 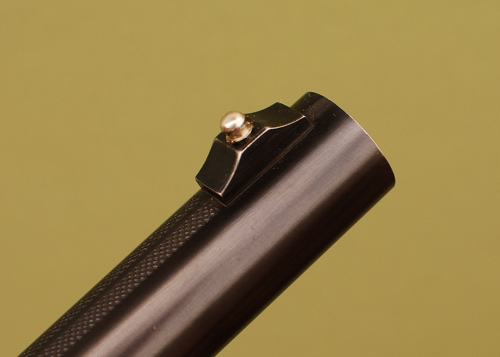 The S denotes that it is a lightweight “Sweet 16” as opposed to a standard weight gun. By the way the Blue Book of Gun Values is a terrific source of information and provides a reasonable estimate of value. It would be a good idea to insure it if you can. You have one of the greats, but if it were mine I would not hesitate to use it! Birdhunter, thank you for the info. I love using it.